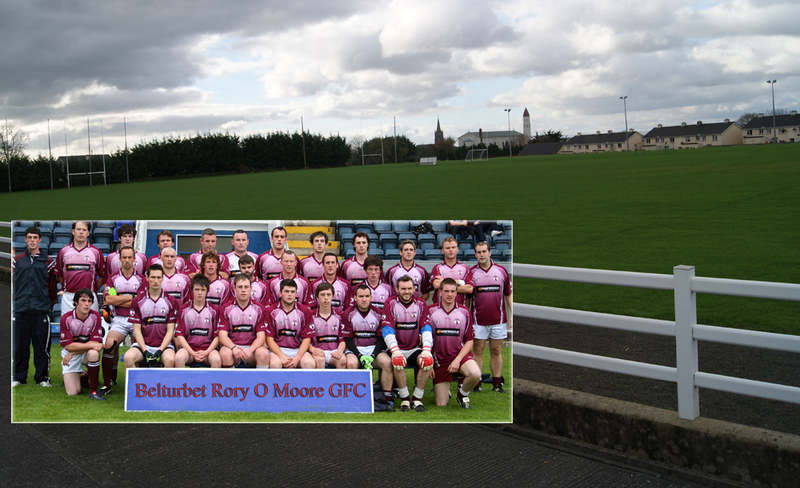 Belurbet Rory O Moore Grounds and Senior Team (inset). Since its foundation in 1888, the Rory O’Moore’s Gaelic Football Club has played a central role in the rural town of Belturbet, Co Cavan. For many people in this lakeland community, Rory O’ Moore’s has represented a life long passion and way of life. Looking at the clubs honours on the field, the late 1930s saw the club win a Junior Championship while further success would come in the ’70s when the club’s only senior championhip title was garnered in an amalgamation of locals clubs in 1973. The Golden Era for Rory O’ Moore’s didn’t arrive until the mid 90s when the club won both Junior and Intermediate titles. Rory O’ Moore’s Club at its grounds on the Dublin Road in Belturbet has hosted, County and Ulster finals and even an All Ireland semi final and is one of the finest GAA pitches in County Cavan. 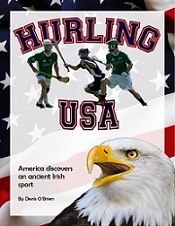 To further explore the story of Rory O’ Moore’s, GaelicSportsCast last week visited the club to speak with Chairman, Brendan Fay, PRO and longtime official, Benny Corby, and former player and underage coach, Jim McElgunn. Hi, my name is Elaine Birkett, I am part of the Belturbet Community Development Association and we are setting up a website for Belturbet and a page will be given over to the Rory’s club, the lads have sent me on your info for the below podcast. I was hoping you might be willing to share the podcast with me so i can put it up on their page on the Discover Belturbet Site and I could have a link to this site. Would this be possible, we would really appreciate that.